Must book stay between January 29, 2018, at 12:01 AM PST through February 28, 2018 at 11:59 PM PST. 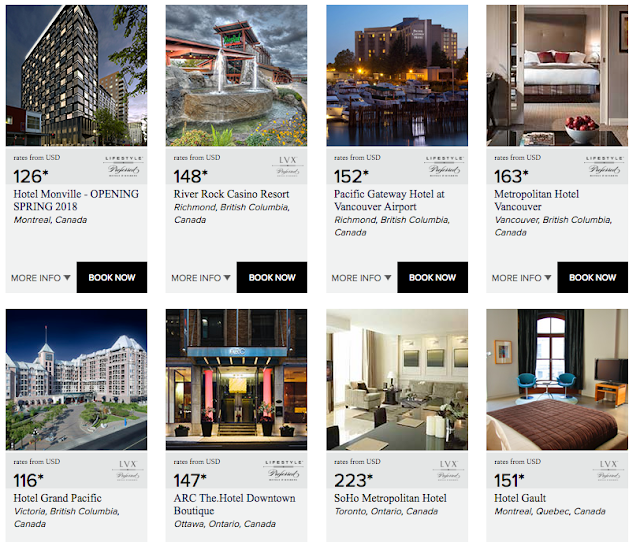 Booking must include active I PreferSM Member Number and be made through PreferredHotels.com, IPrefer.com, the I Prefer App, or Preferred Hotels & Resorts Global Reservations. Minimum 2-night stay required. Limited to points-eligible stays. No promotion code required and may be combined with other offers, except I Prefer Exclusive and Last Minute Escapes. 50,000 bonus points will be awarded to eligible member accounts in April 2018, but may be deducted if the qualifying stay is not completed. 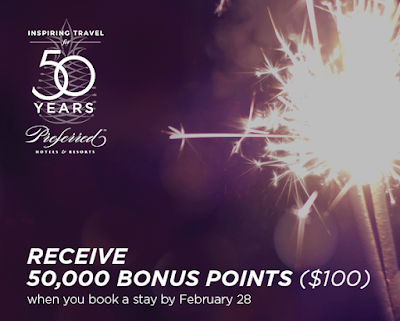 Each stay and each member account will be limited to a maximum of 50,000 bonus points under this promotion.